This weekend, according to reports, the discovery was announced to a group of silent film experts at the Mostly Lost film workshop in Culpeper, Virginia. It seems that the footage was disocvoered by composer and historian Jon Mirsalis among the Gordon Berkow collection – and that Serge Bromberg of Lobster Films will be taking custody of it for preservation work. Unlike most silent movie shows, at the Mostly Lost screenings the audience is encouraged to talk over the film, and make use of their mobile phones. The films on show are all unidentified, and the object of the event is to put names to faces, places and indeed whole films – piecing together gaps in films history and rescuing “lost” films from obscurity. It’s hard to imagine a more appreciative crowd. The Battle of the Century has its fair share of great slapstick moments, and the new reel promises plenty more. The plot concerns Stan Laurel as a hapless boxer and Oliver Hardy as his unscrupulous pal trying to make some cash from his misfortune via an insurance scam. When a banana peel dropped on the pavement to floor Laurel trips up a passing baker, the flan-flinging begins! 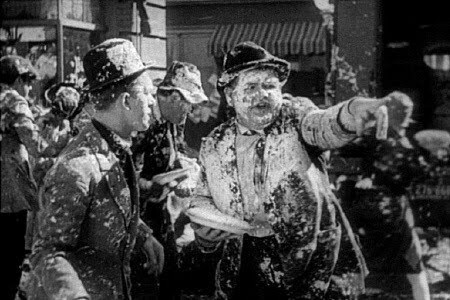 The rediscovered footage should include the climax of the piefight, including a policeman getting a pie full in the face courtesy of Stan and Ollie. There will be also considerable interest in scenes showing Eugene Pallette, who plays an insurance agent in The Battle of the Century, and went on to a long career in sound films. Other notable names in the cast list include a young Lou Costello as an extra, and Anita Garvin, who falls foul of a pie on the pavement. The Battle of the Century may well be the find of the year! Fantastic news regarding the long lost second reel, but the Eugene Pallette Insurance segment is in Reel One, which there is no mention of in the article? Has that been found as well, then? I take a brief break from writing about my trip to Hollywood to share this fabulous news–better than a pie in the face, indeed!! Did they find just the missing reel, or the whole short. The existing first reel is good, not great. 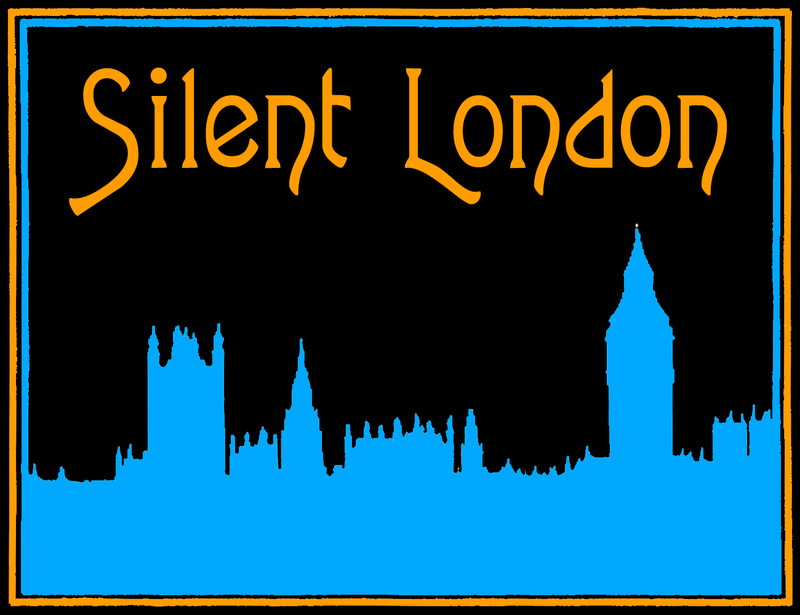 Now if the parties who own the rights to this (It’s NOT in the public domain, Coronet Film has the rights to the Silent L&H shorts) can get together with the folks who found the print, it will be great! Laurel & Hardy buffs, rejoice! omg . never miracles of miracles film wise do happen. please for laurel and hardy fans please please have a dvd version coming out next . It’s always good when a rarity is found. Now we need Hats Off! and the Laurel and Hardy silent will be complete as far as we know. If anyone knows who lived at the Big Business house (10281 Dunleer Drive, Cheviot Hills) at Christmas 1928, another holy grail will be found. Much of reel 2 of “Battle” exists of course, but the missing parts, especially the ending, will be precious if they are within this discovery. I would love to buy a DVD of this!